Happy Tuesday, Bookworms! And Happy First Day of Spring as well!! For my Top Ten post today I'm sharing just a few of the books on my Spring TBR that I'm super excited to check out. Scroll down to see what I'll be reading this Spring, and leave a link in the comments to your post as well! 1. Leah on the Offbeat by Becky Albertalli - This book is probably one of my most anticipated reads for this Spring! I recently re-read Simon vs the Homo Sapiens Agenda and The Upside of Unrequited to get read for this book, and I absolutely can't wait to get my hands on it! 2. 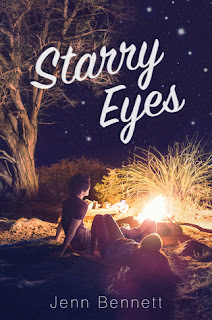 Starry Eyes by Jenn Bennett - I read Jenn's last book, Alex Approximately, last year and really enjoyed it, so I'm super excited to start this one this year! 3. 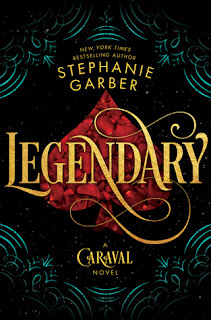 Legendary by Stephanie Garber - Legendary is another of my most anticipated reads for this Spring, and I'm dying to start it! I have an e-Arc of the book, but I want to re-read Caraval before I start it, and I'm hoping to do that soon! 4. 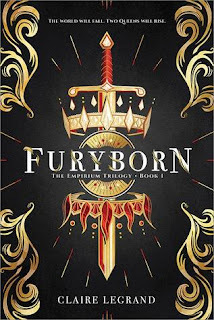 Furyborn by Claire Legrand - This book sounds really awesome, and I absolutely can't wait to start it! I love that cover as well. 5. 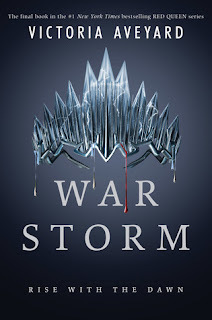 War Storm by Victoria Aveyard - I recently re-read Red Queen so that I could finally read the rest of the books in this series, and I'm hoping to actually be caught up by the time War Storm is released this Spring! I'm so excited to finally read all the books in this series. 6. 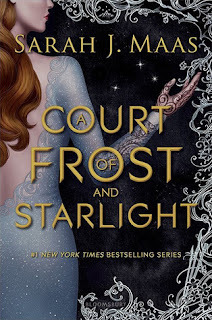 A Court of Frost and Starlight by Sarah J. Maas - This is yet another series that I'm trying to get caught up on, in hopes of being able to read this new book once it's released. Fingers crossed that I'm able to get caught up! 9. My Plain Jane by Cynthia Hand, Jodi Meadows, and Brodi Ashton - I really enjoyed My Lady Jane back when I read it, and I can't wait to get started on My Plain Jane! I'm sure it's going to be awesome as well! 10. 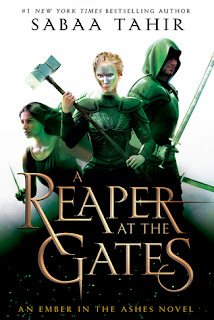 A Reaper at the Gates by Sabaa Tahir - This is yet another series I am behind on, but I really loved An Ember in the Ashes, and I'm hoping to re-read it and finally start A Torch Against the Night before this one is released! There you have it, friends. Just a few of the books I'm looking forward to reading this Spring!! Some of these I have review copies of, and I'm looking forward to starting them soon. The rest I have pre-ordered, and I will be impatiently waiting for them to arrive. There are SO many awesome books coming out this Spring, and I can't wait to read them all!! Starry Eyes looks great, and so does Legendary. I need to read Caraval soon so I can binge 'em both! So excited for Morgan's next book, which is why I'm bummed that I forgot to include it on my list. Next time, I guess (there's always that summer TBR list). Haven't read the 'Jane' series, but they sound SO fun. Glad to see this one re-tells the Jane Eyre story. It'll be fun to see a lighter spin on the Gothic tale. I'm so excited for A Court of Frost and Starlight and Reaper at the Gates!! Furyborn looks really cool. This spring seems like it's going to be a good one. Great list! There are quite a few books on here that I'd love to read! :-) I can't wait for Leah! Oooh so many books I'd like to read as well! ACOFAS and Leah on the Offbeat definitely being at the top of that list. I have an ARC of Furyborn but haven't gotten around to it so I really have to do that some day.. Also intrigued by Puddin' but the skies know when I'll finally find the time to get myself a copy ànd read it, haha. I`ve heard great things about "Furyborn". I`m really excited to read it, and see if I love it as much as everyone else does. 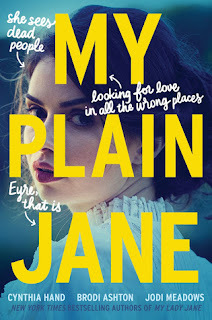 I have "My Lady Jane" on my Spring TBR, and after that I`m hoping to get to "My Plain Jane". Ooh nice! I refrained from choosing new releases as I'm weird and don't consider a book TBR until it's actually in my hands! But I am seeing a lot here I can't wait to read! A Reaper at the Gates among them! I read ATATN as an ARC, so this wait has been terrifying! I can't wait to read ACOFAS either and I look forward to War Storm because then I can finally binge read the remaining books in the series, as I only read the first one and held off on the second because I heard of a cliffhanger or something like that! Legendary was awesome! As soon as I got my hands on that one I was reading it! I hope you enjoy all these lovely reads this Spring! Ah I'm so excited for Legendary! Lots of these are popular right now, I hope you get a chance to enjoy them!! Happy Spring! 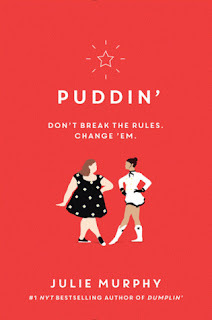 Puddin' looks like a good read. I hope you enjoy it. I also have Furyborn on my top ten this week. ACOFAS is on a lot of top tens this week. I still need to start that series. Fantastic list! 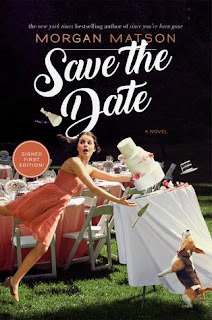 I somehow forgot to add Starry Eyes and Furyborn to my list as well as Save the Date....definitely want to read all three this spring. I need to get caught up on Sarah J. Maas' series - I'm a book behind! 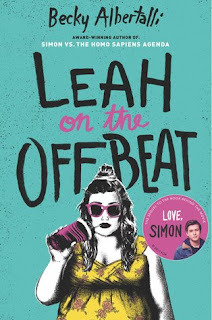 I couldn't agree with you more in regards to Leah on the Offbeat - it's going to be so nice to get a companion novel to Simon, especially so closer to the films release! I'm hoping to catch up with a few of the series that you've mentioned, too. Caraval in particular is high on my priorities. I just picked up Caraval last week so I am going to have to read that one before going further. And, of course, start Sarah J. Maas's series before reading this one. Guess I have some catching up to do. I look forward to hearing what you think of some of these :) Enjoy! !